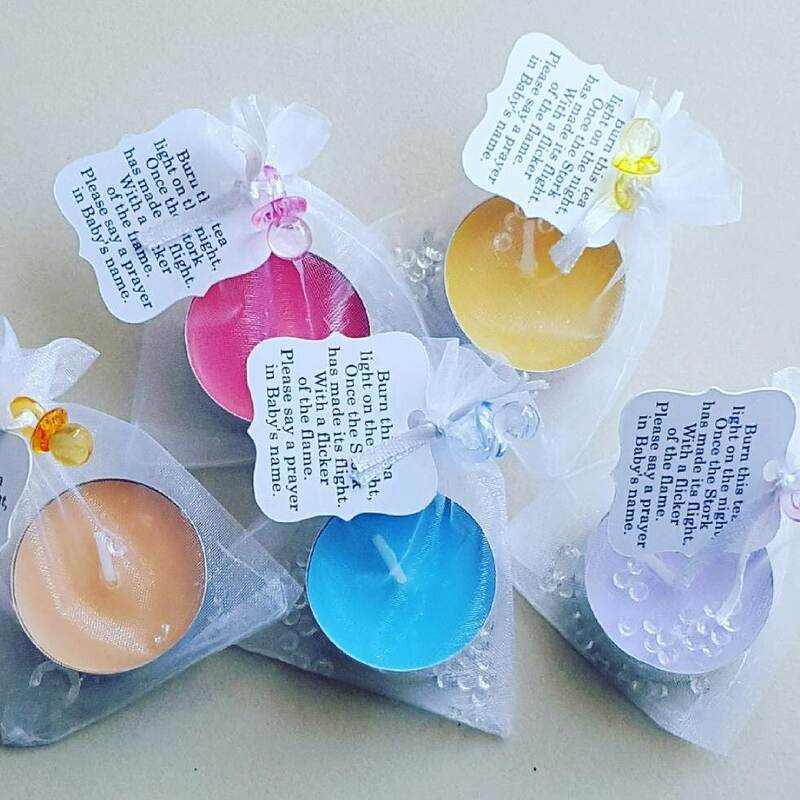 Scented tealight candle placed in a white tulle bag with a white draw string. 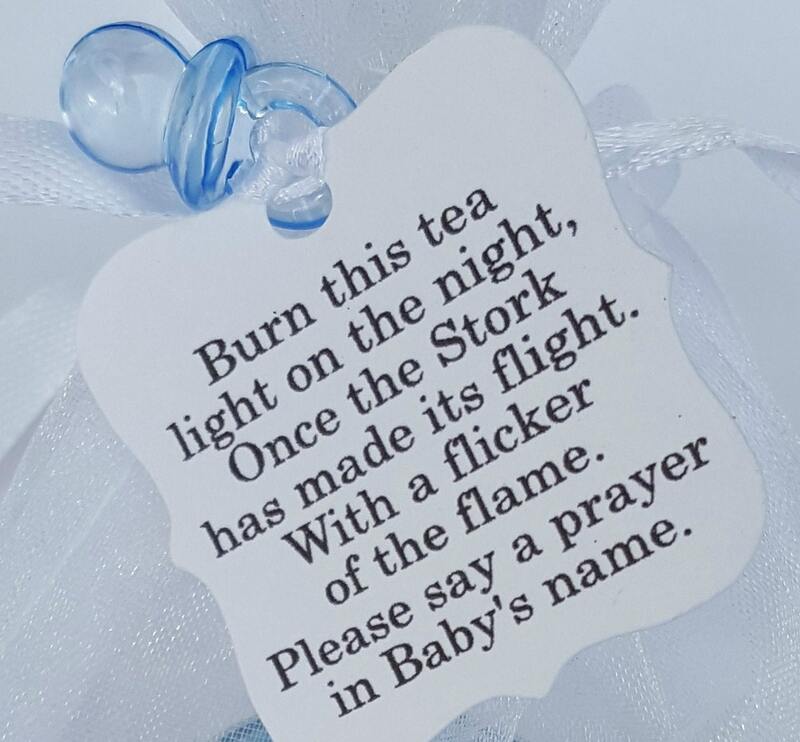 Attached is a beautiful poem tag and a baby dummy charm. 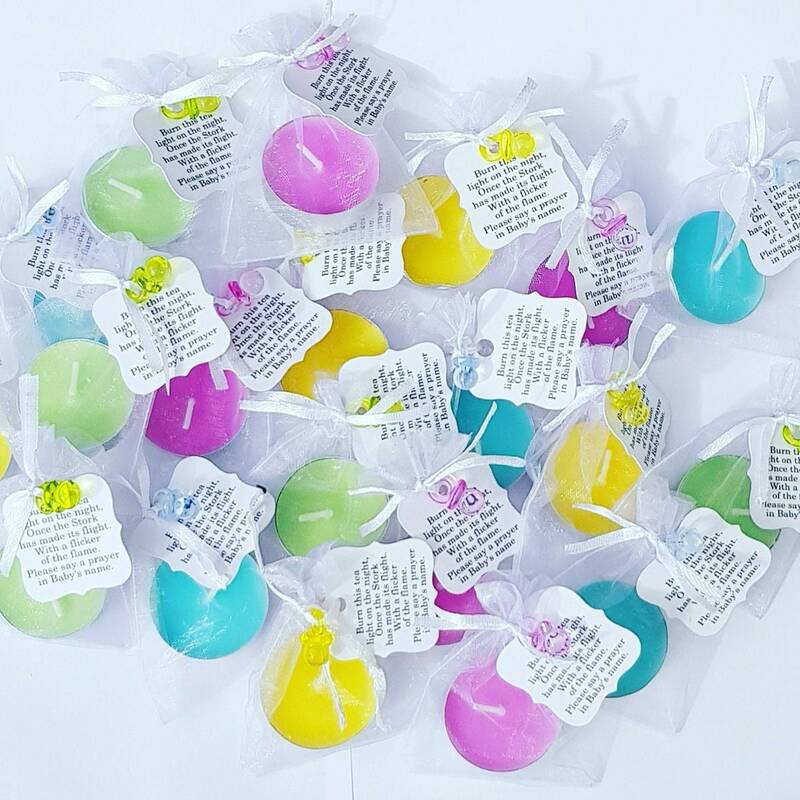 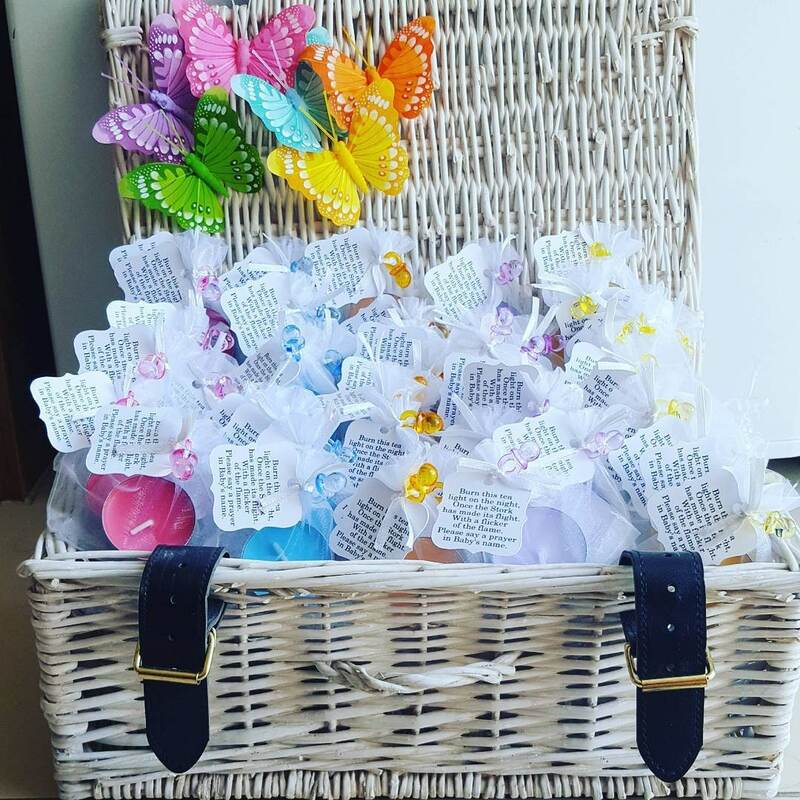 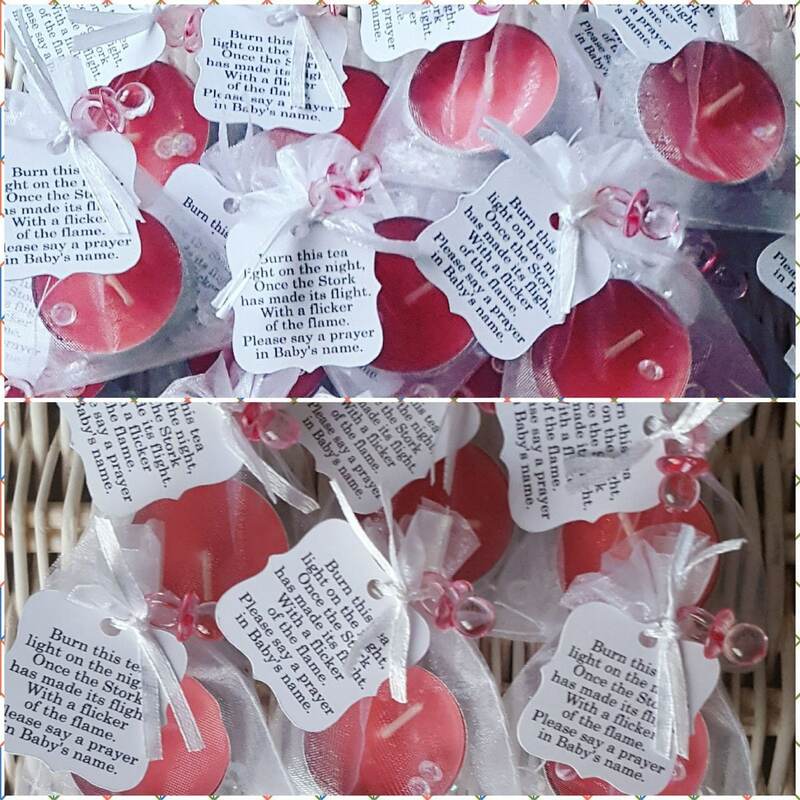 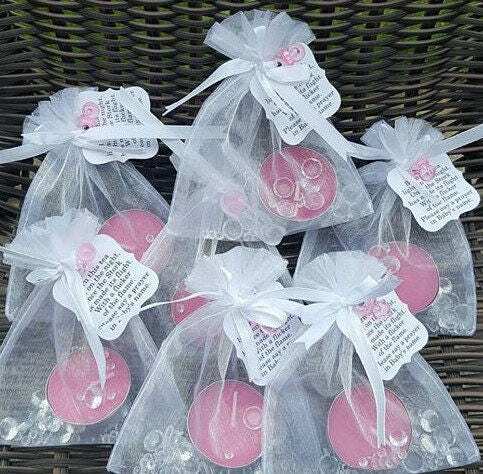 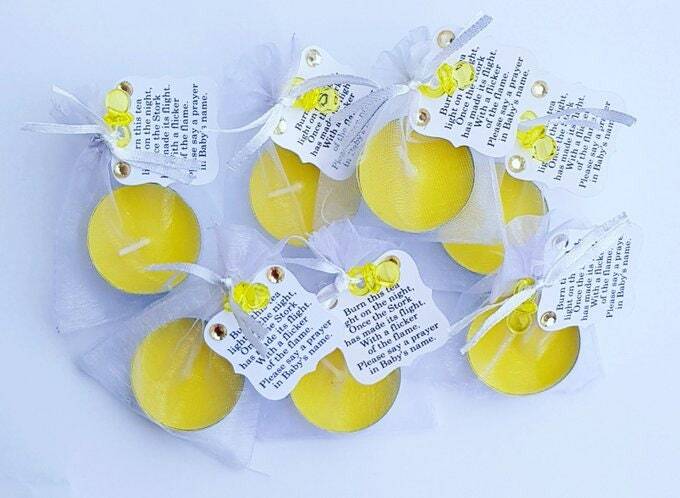 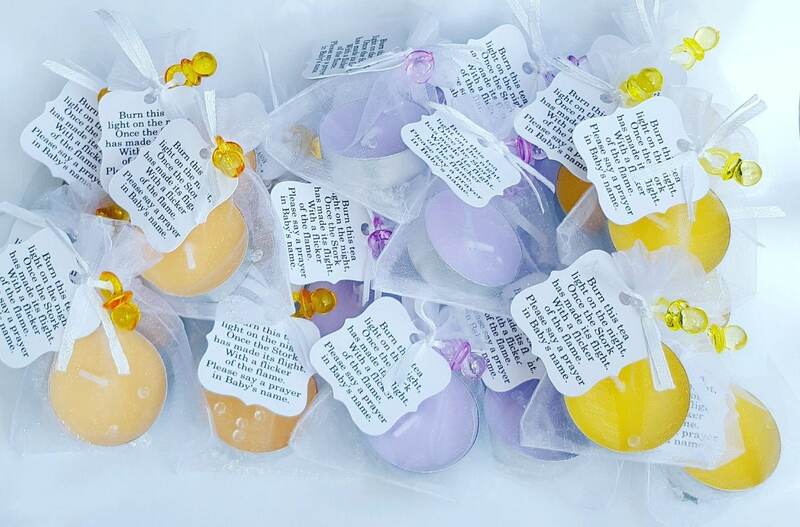 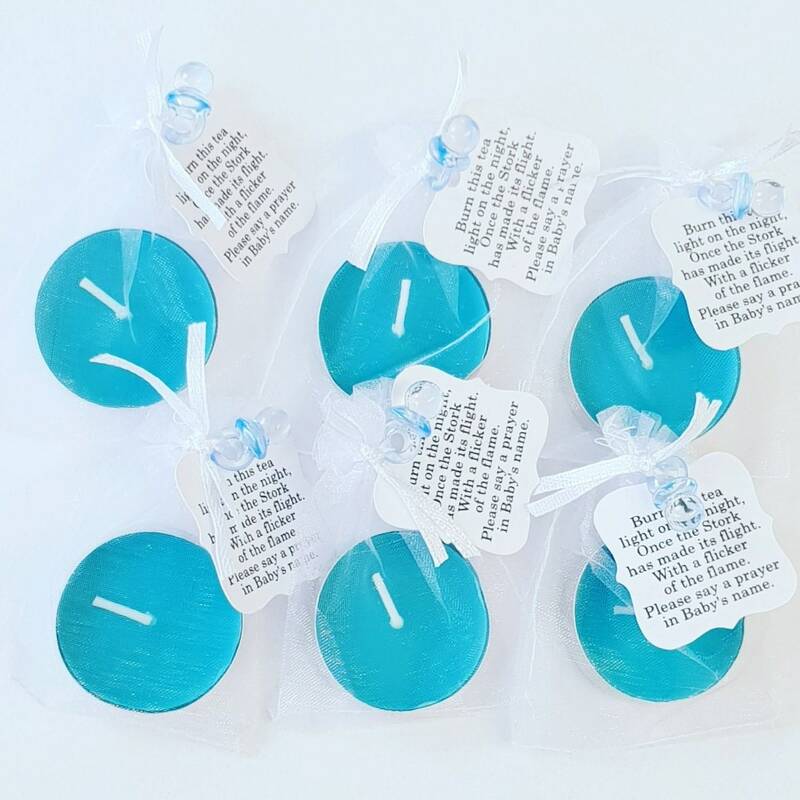 These are a lovely little gesture to give out to your guests at your baby shower.